How to Remotely Control Your Mac? If you have multiple Mac devices that you use all at the same time, then know that remotely accessing them from one another is incredibly easy to achieve. Apple has made it easy for you to log in to your Mac from anywhere at any time without requiring you to splurge on expensive third-party software. However, some of you might still think that remotely accessing another Mac is a pretty challenging thing to endure. That’s why today, we’re here to help. In this article, we’ll show you some of the easiest ways on how to remotely access another Mac. Select Options beside iCloud Drive. Here, you can see a list of everything you can add on your iCloud drive. Check the box beside Desktop and Documents Folder. After storing your Desktop and Documents Folder in your iCloud Drive, you’ll be able to access it from any Mac or iOS device that you are currently logged on to. You can also login to your iCloud using any computer, including a Windows PC. How to Remotely Control Your Mac Using Mac Screen Sharing? In order for you to access another Mac device remotely, you can also use Mac Screen Sharing. This feature allows you to manage files, and even fix problems on the Mac device you are remoting to. The user you’re remoting to could either choose to let you access the screen of his or her device or just let you observe his or her screen. 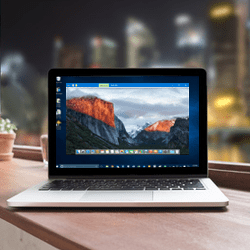 How to Remotely Control Your Mac Using Google Chrome Remote Desktop? Another free option for you is to use Google Chrome Remote Desktop. This allows you to access your Mac device from a Chrome web browser on any computer. In order to achieve this, you’ll need to have a Google account first and a Google Chrome web browser. How to Remotely Control Your Mac device to another Mac device using Remote Desktop Connection? How to Remotely Control Your Mac from a Different Location? There are two ways on how to remotely access a Mac from another computer or allow others to access your Mac using remote desktop. Enable remote login to your Mac from a different computer – You can achieve this step by using Secure Shell (SSH) for both devices that use the same macOS. This step allows you to enable Mac remote desktop using Secure File Transfer Protocol (SFTP). Choose which user you want to have remote desktop access. There are still a lot of ways on how to remotely access another Mac using different devices. The lists stated above are just some of the more practical approaches on how to remotely access another Mac. Now that you know a few techniques on how to remotely access another Mac, you can now enjoy wider connectivity anywhere you are. Does Awareness about How to Remotely Control Your Mac is helpful?